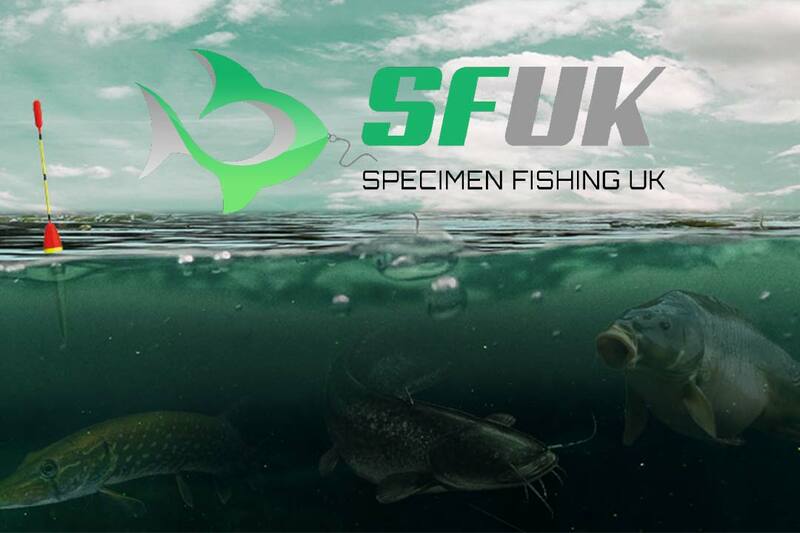 Specimen Fishing UK specialises in carp, barbel, catfish and pike fishing tackle. They probably have the most extensive selection of lure equipment anywhere locally. The ethos is quality products at affordable prices with an eye on providing brands that maybe can’t be found that easily on the high street and in the big chain stores that are becoming so prevalent today. 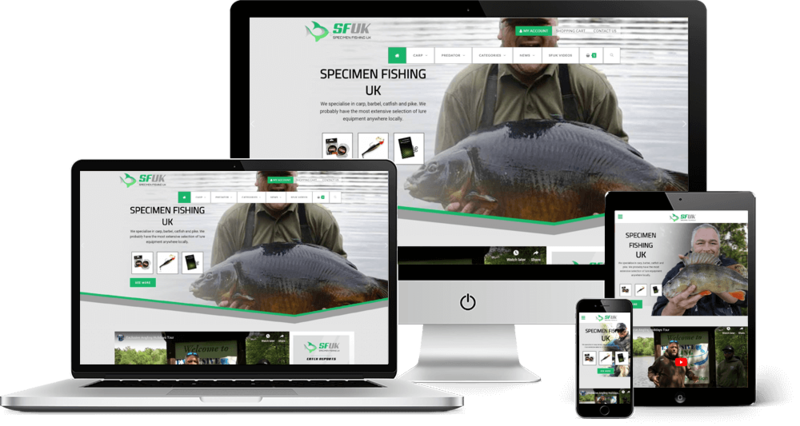 Specimen Fishing UK commissioned us to bring a new lease of life to their existing e-commerce website with a design and development overhaul focusing on user experience and increased shopping cart conversions along with brand identity. 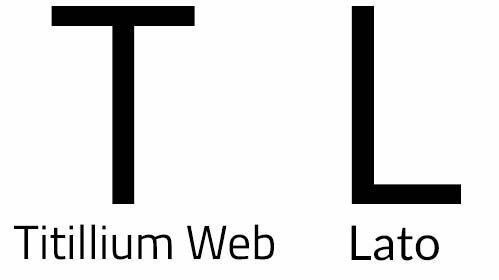 Communicating ease of accessibility, with a corporate yet still inviting feel, were paramount in their vision for their brand and online presence. We designed a clean style based on a bespoke e-commerce, news & information website resulting in a more natural viewing experience for users. Green and grey work well as colour combinations that provide a clean and modern look which matches the company brand. We used green for call-to-actions and button where we needed to grab users attention. 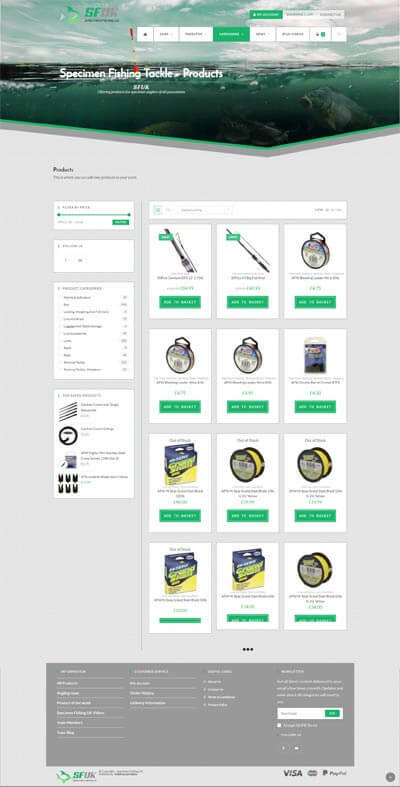 We prepared a user journey with wireframes, focusing on user experience and with the goal of both shopping cart conversions and easy to find information. 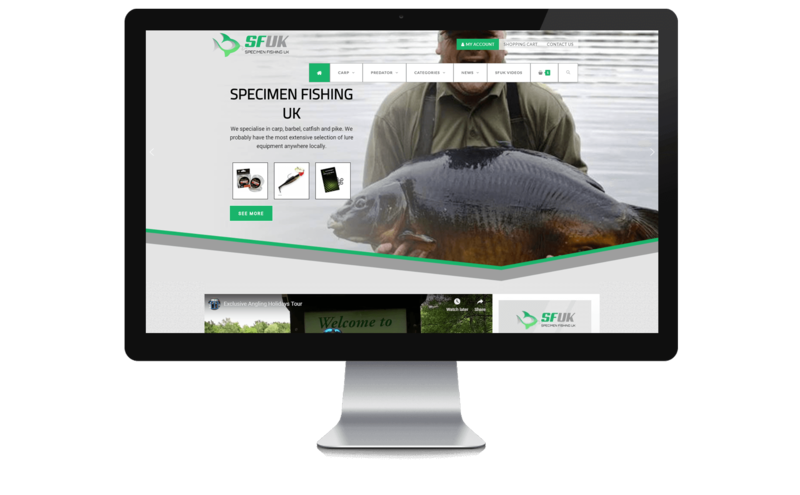 This user journey was intended to display the content effectively so potential customers would feel confident in the brand SFUK. "A fantastic company to work with. They produced a quality, professional product, listened to my vague ideas and made them happen. 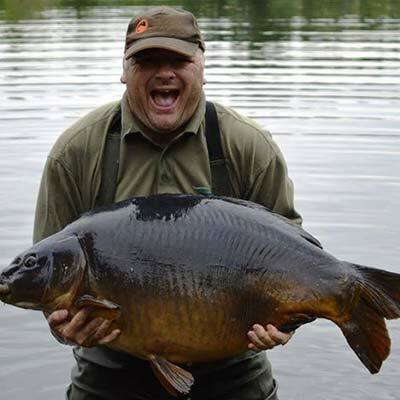 I couldn't be happier with the result."